We should have learned our lesson in St Louis, but apparently we did not. Since we were leaving Chicago on a Sunday morning, we had the clever idea to take some unobstructed and uncongested photos of city landmarks, including a skyline shot from the Adler Planetarium. Sound familiar? . You’d think we would have checked the calendar of events after our fiasco with the St. Louis marathon, right?. Nope. So we didn’t learn until we tried to turn onto a closed street that the March of Dimes Lakefront Walk for Babies was being held this morning in the very places we needed to go. Ten thousand participants filled the streets. So yet again, we had to abandon our photographic plans. 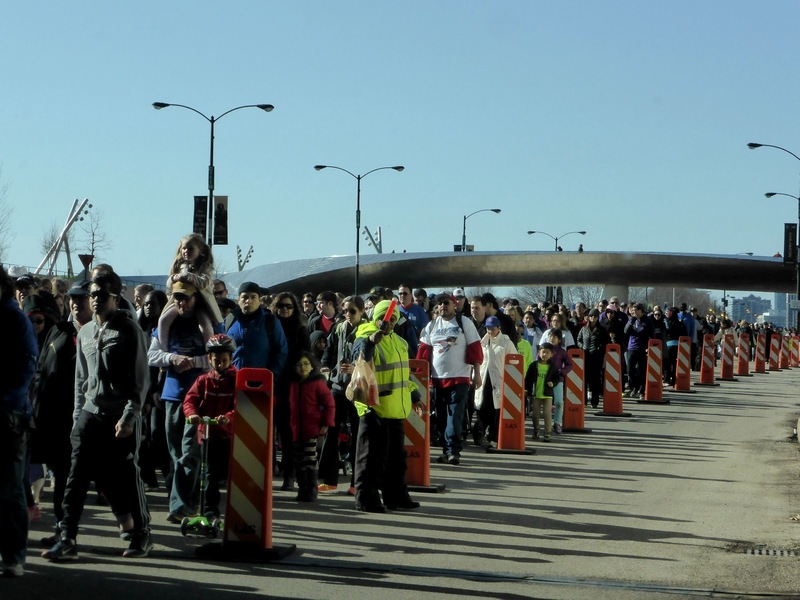 March of Dimes Walk for Babies fills Chicago streets. Once we cleared the snarl of traffic, we left Chicago on I-90, where the tolls soon began, just as we expected. By the time we left the interstate in Indiana 40 minutes later, we had coughed up a total of $7.20 at three toll plazas. Near West Beach we picked up I-65 and took it south toward Indianapolis. Occasionally we paused to search for a driveby letterbox in some of the little towns we passed. 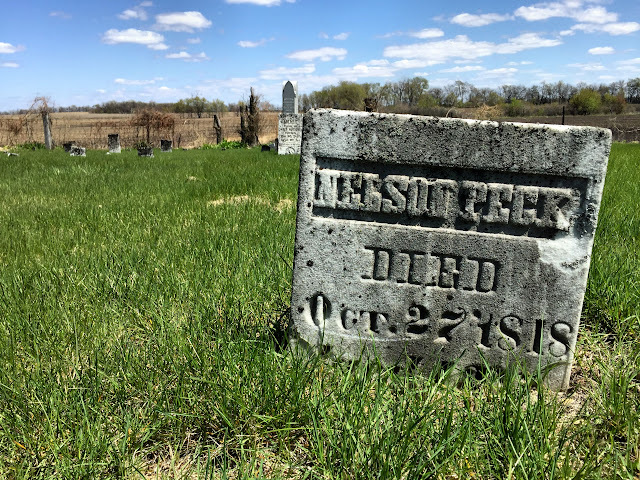 One of those was Rensselaer, where our first stop took us to the Old Settlers Cemetery at the end of a rural gravel road. Most of the graves there date from the early to mid-1800s, but one stood out. 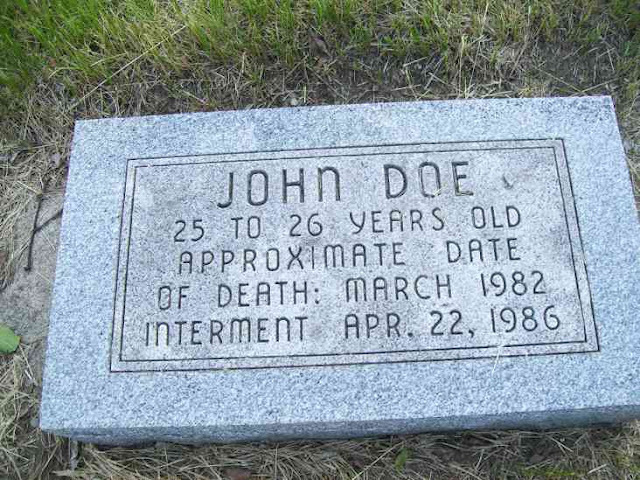 Engraved with the name John Doe, the headstone marks the final resting place of a young man whose remains were found nearby in 1982. Though his identity has never been established, he was believed to be a victim of serial killer Larry Eyler, who confessed to murdering more than 20 young men and boys in a two-year span. After that sobering stop, we drove south of town to search for another letterbox at Saint Joseph’s College, a private Catholic liberal arts institution founded in the late 1800s as a secondary school for Native American boys. Today the campus was abuzz with the annual “Little 500,” a traditional go kart race postponed from yesterday due to rain. We missed the earlier alumni competition, but made it just in time for the 2 p.m. student contest. 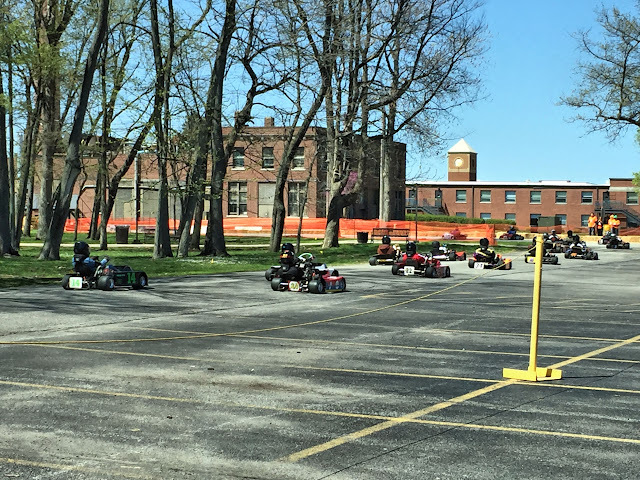 As we were to learn later in Indianapolis, most Indiana colleges hold some type of “Little 500” race each year, whether they race beds, bicycles, or go karts. With trackside seats along the race course from the spot where we serendipitously parked our car, we watched the first dozen or so laps while eating our picnic lunch. Whether they ran the entire 500 laps, we cannot say. Long before the winner was declared, we were back on I-65. Near Lafayette, we left the freeway to seek another letterbox which our friend Karen asked us to investigate after seeing the story behind it on Atlas Quest. The letterbox was a sweet tribute to an undeveloped child lost to an ectopic pregnancy. 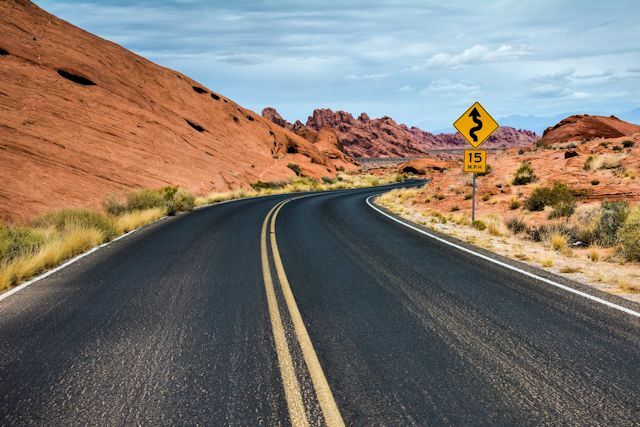 When we left the cemetery, we decided to continue south on US-52 rather than returning to the heavy traffic and frenetic pace of I-65. We found this surface road much calmer and stuck with it to US-421, which took us into Indy. After checking in at a Residence Inn about a half mile from the state capitol, we hit the local P.F. Chang’s for dinner before going to look for some blues music. 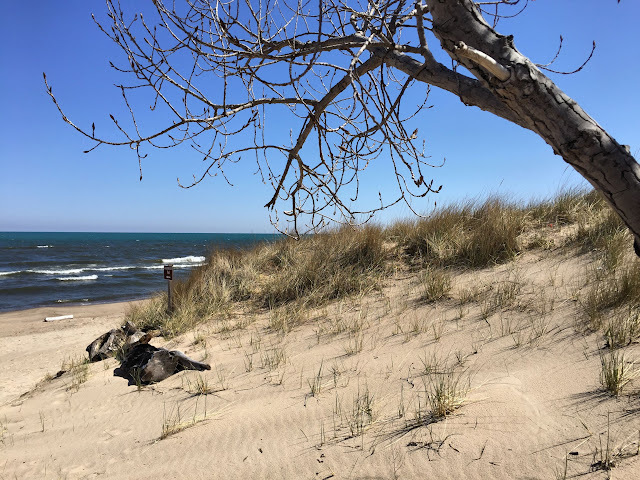 We found just what we were seeking at the Slippery Noodle Inn, a large blues bar and restaurant near the Amtrak station and the football stadium, though the club predates them both. In fact, this esteemed tavern is the oldest commercial building in the city. Having opened in 1850 as the Tremont House, it has the distinction of being the oldest continuously operated bar in the state. During its checkered history, it has served variously as a stop on the Underground Railroad, a speakeasy and a brothel. We arrived at the Noodle just in time to chat with the band as they were setting up for their 8:30 gig. Tonight’s performance was by the Gordon Bonham Trio with Gordon on guitar and vocals, Kevin Anker on keyboard and Jeff Chapin on drums. Host of the inn’s weekly blues jam, Bonham draws on classic Delta blues with a little Chicago mixed in and spiced with the influence of Texas blues. These are respected players in the local blues community, and we lucked out by visiting the Slippery Noodle tonight. After more than two hours of their smooth and soulful blues, we returned to the hotel to plot our visit to the Indiana state capitol tomorrow. At least some stranger cared enough to provide a marker. 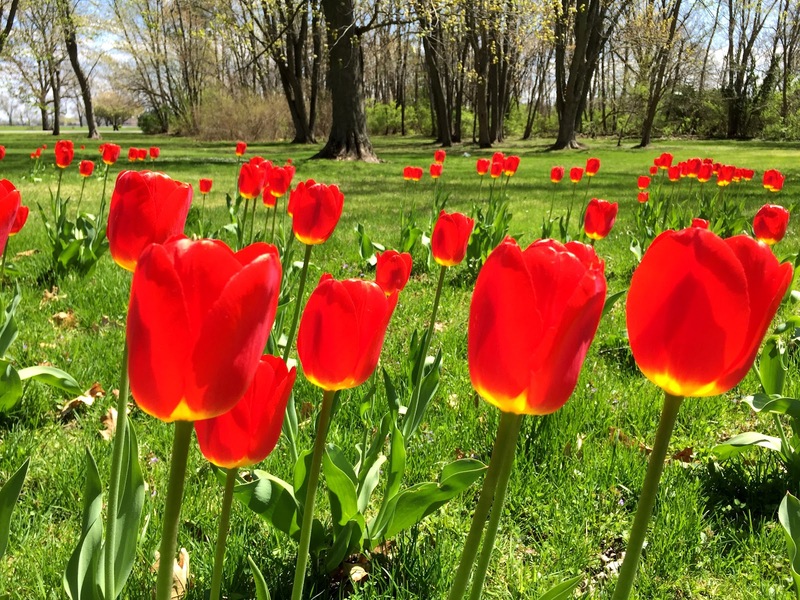 On Saint Joseph's campus, the sun set these tulips aglow.